When memory loss began affecting Virginia Spate, she took several measures to make daily life easier. Together with downsizing from her Sydney house to an apartment, at the suggestion of professionals at a memory clinic, Virginia, 77, purchased a Jadco Calendar Clock (BQ12). 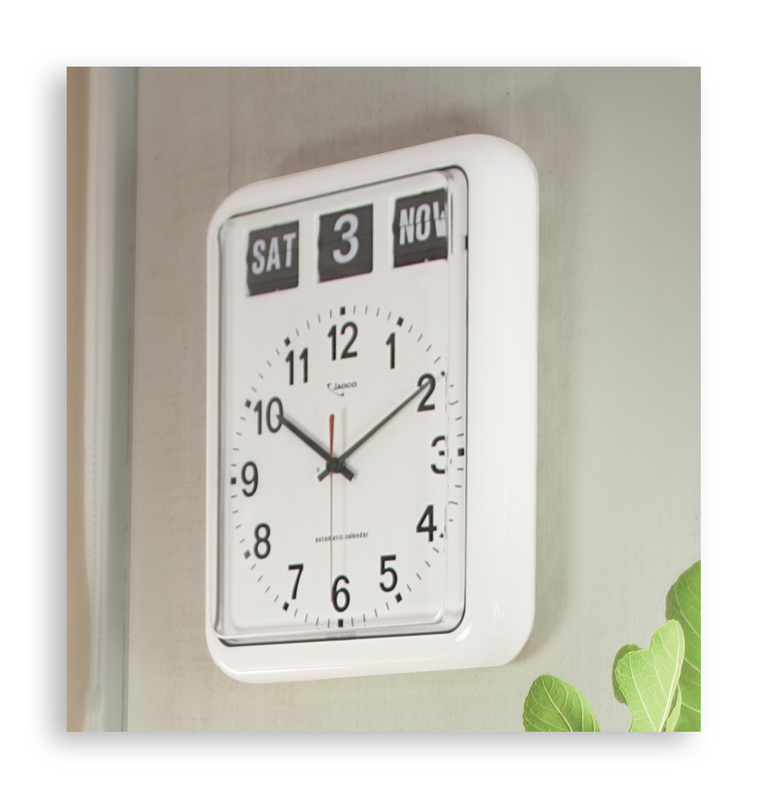 The analogue clock also features an automatic flip card calendar that displays the day, date and month. “When you need to be reminded of the time or the date over and over in a day, I don’t have to sit down and think about it, it’s just there,” says Virginia. “It helps me keep my life in order.” The clock hangs on the wall in Virginia’s bedroom and with a large face that can be read up to 15 meters away, is now part of her life that she’s constantly mindful of and appreciates. For Ian Tucker, retirement meant not only moving to beautiful Noosa, but also returning to swimming, after several decades away from the pool. For the past 2½ years, Ian has been the president of the Noosa Swimming Club, which has 90 members ranging in age from early 30s to 93. The majority however, are aged between 55-70, with all involved in a number of regular time-based pursuits. “We generally run coached training squads for our members and grade people upon their abilities,” he says. “A lot of our training is done to a time base – we may swim 10×200 metres in a certain time, or time distances for anything over 400 metres in any stroke.” When Ian joined the club, members were already using Jadco Rating Stopwatches (898M) and they continue to do so. “Judging from everybody’s experience, they are simple to use, accurate and easy to read for a lot of our older members who don’t have the best of eyesight,” says Ian. The stopwatches simultaneously display total elapsed time, split and lap times on the screen in separate rows. It also records 100 lap times in its memory – essential for an organisation as active as Noosa Swimming Club. 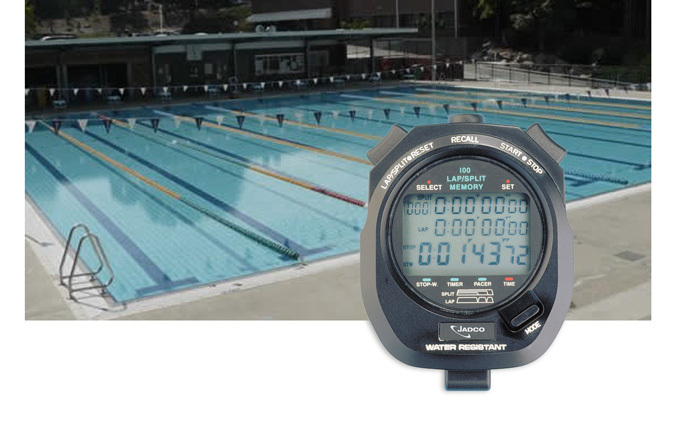 “With members swimming these split times of up to 100 laps, the stopwatches are vital,” says Ian. Our dogs are mostly rescued from pounds and shelters and trained up to have the same public access rights as guide dogs for the blind. We are the only training centre in Australia and are a National program run by Lions Australia. The photo above shows Madge in a training session responding to the Jadco 870A timer. 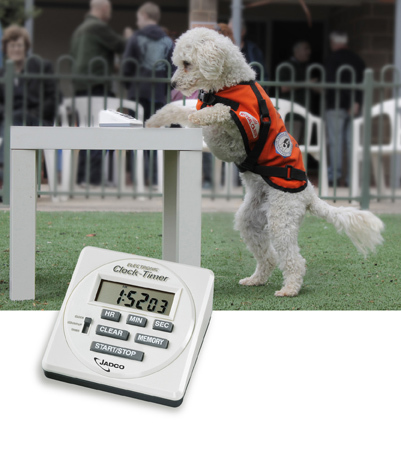 We have used the Jadco 870A timers of the majority of our 30 years of training Lions Hearing Dogs because of the mobility, ease of use and length and consistency of sound.